Constructed from stainless steel and heavy duty nylon to ensure years of abuse. Bull Ring® retractable tie downs are a convenient way to add tie down points to your trucks stake pockets and still maintain a clean sleek look when not in use. Simply snap the retractable bull rings into the up position and snap it back into the recessed housing when done. Bull Ring tie downs have a rated capacity of 1,000 lbs and can easily accommodate two standard 'S' hooks. Constructed from rugged nylon and stainless steel for increased durability and longevity, you can be sure they won't let you down. Installation couldn't be easier. They are specially designed for your truck bed stake pockets and require no drilling, no special tools and no hassles. 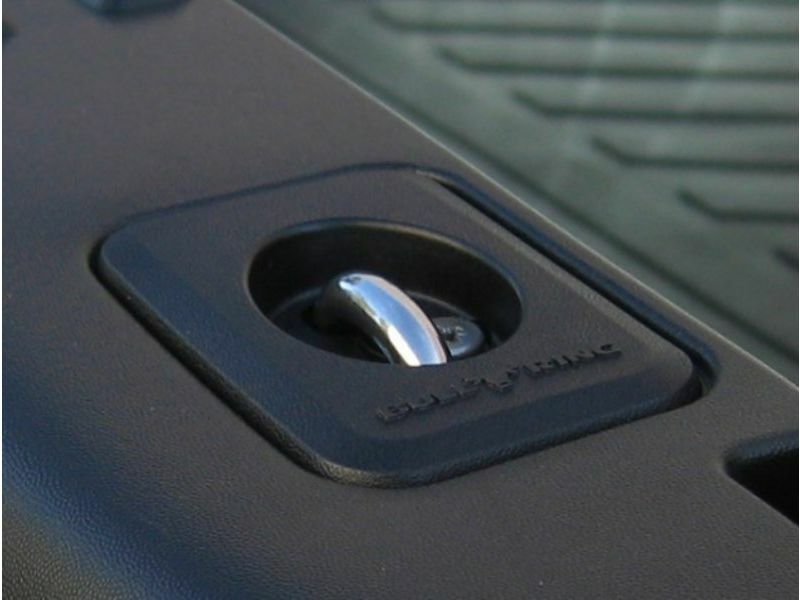 Bull Rings retractable tie down is available in black (black nylon base plate, stainless steel ring) or in a stainless steel finish (stainless steel base plate, stainless steel ring) to match any custom look on your pickup truck. Secure your cargo in your pickup with Bull Ring retractable tie downs. The Retractable Tie Downs are backed by a Lifetime Warranty. For additional information please see the installation video below or call us at 1-877-216-5446.